The Blacksmith Fork, a tributary of the Logan River, is one of Utah's best flyfishing rivers. It holds an abundant population of trout, and also is home to the native Mountain Whitefish. 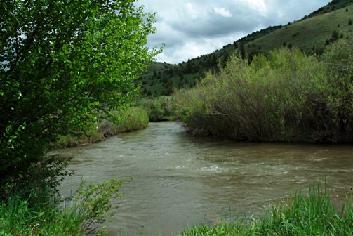 Fishing the Blacksmith Fork River is an enjoyable, beautiful experience. Go south form Logan to Highway 101 in Hyrum, and go east on Highway 101. The river runs along the Highway.